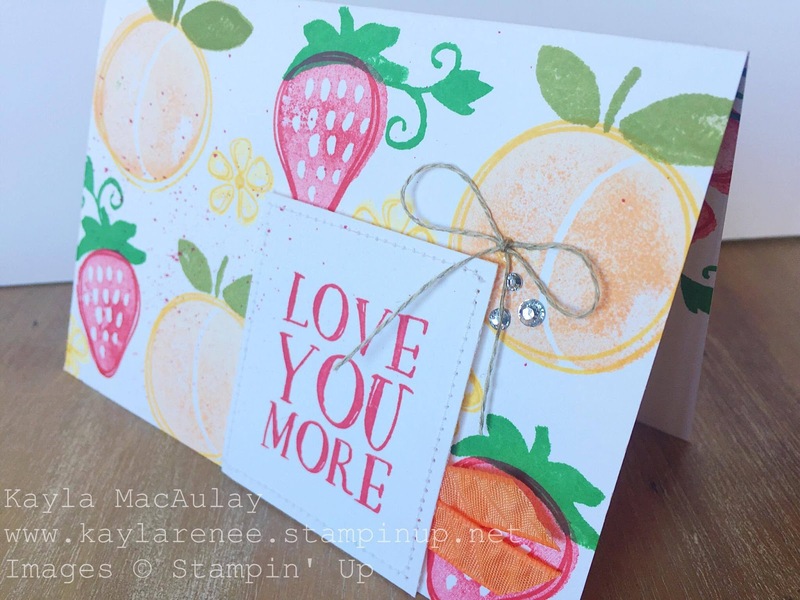 I love this FRESH FRUIT stamp set, can you tell? 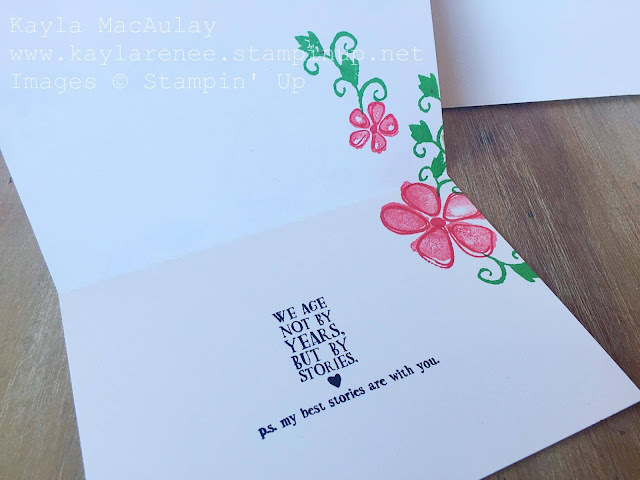 This is my second blog post in a row featuring this stamp set and let me assure you that there are more! I live right near the local Berry Patch here and this stamp set just screams that vibe. We spend many weekends and lazy afternoons sipping coffee and having fresh berry ice cream and smoothies at the Berry Patch. I also love that this set just speaks Spring and Summer to me. 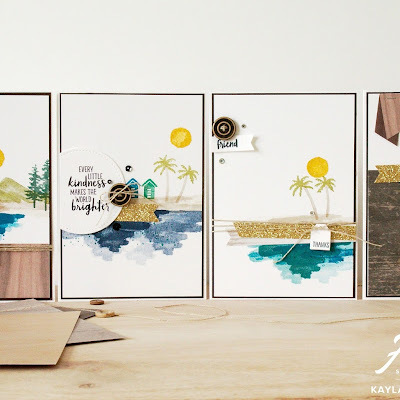 I am thinking I might have to run an online workshop with this set very very soon! I have so many ideas that are just waiting to be put into action. Who else loves this time of year? I know we see a lot of Christmas cards and festive themes but it's important not to forget our traditional warmer Australian summer! 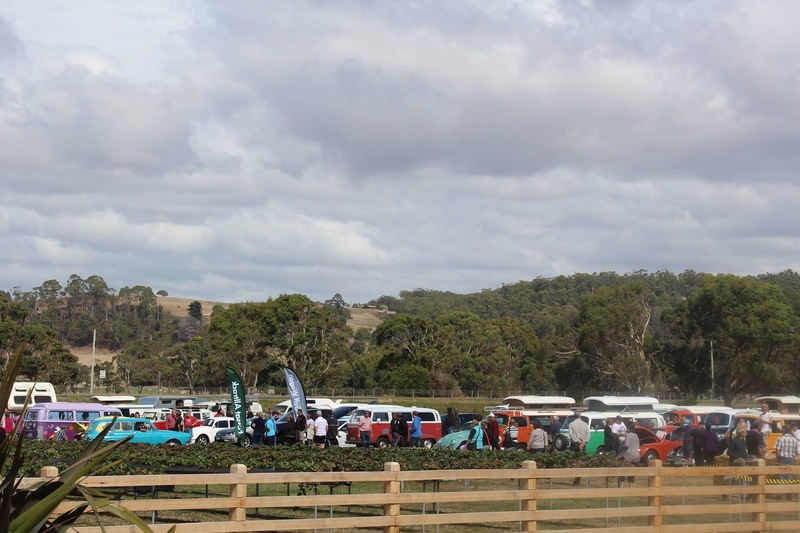 Here's a look at the local Berry Patch and what is even more awesome is that they have regular Volkswagen meets. Did I mention that they are my favourite? I better actually show you the card that I created. This stamp set is a two step stamp set. The inside of the fruit you stamp first (which I have used Daffodil Delight, Peekaboo Peach and Watermelon Wonder) and I have stamped these off. 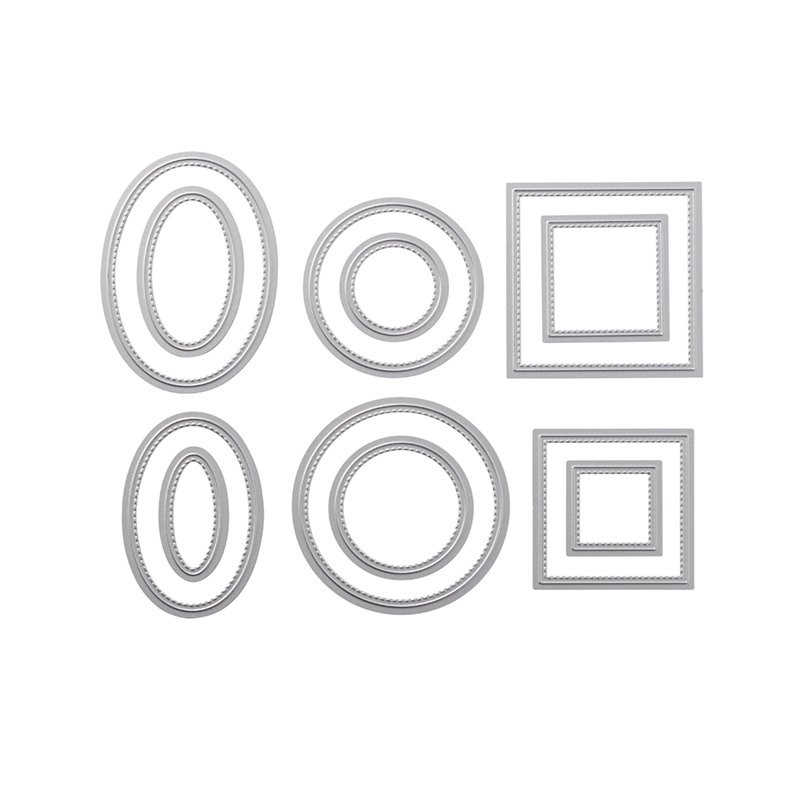 I then went back with the outline image in full colour. I just love the effect that this creates. Here is a side view of the card. I love to add little details. In this case I added some stitching, linen thread and rhinestones. 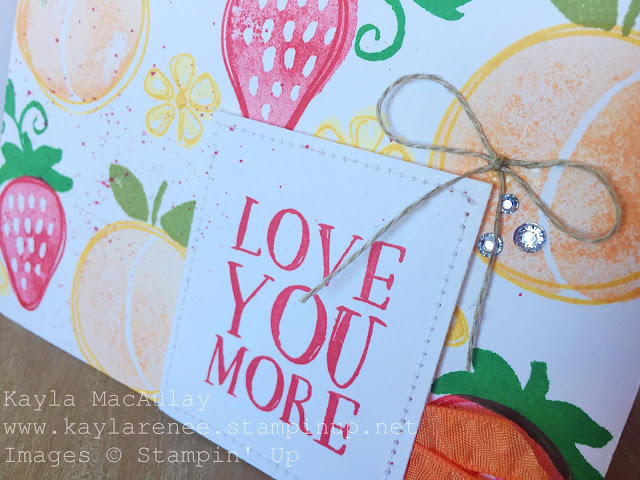 It is the small things that make a card I think! I also had to do a close up to show the 'spritzing'. This is a technique I have learnt from watching many many hours of Stampin' Up YouTube videos from fellow demonstrators. 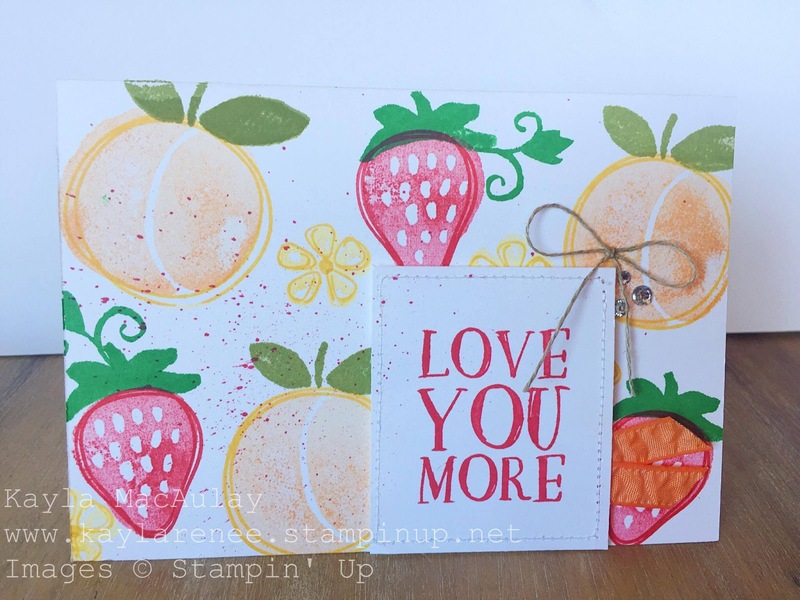 I will show my local ladies how to do this soon, however this is achieved by using a Stampin' Write marker and you simple use the brush end and tap it against another pen to 'spritz'. I haven't been able to help myself and I have just had to decorate the inside of my cards again. I just love the finished look that it gives. I love the flower and vines that come with this stamp set. How cool does it look? 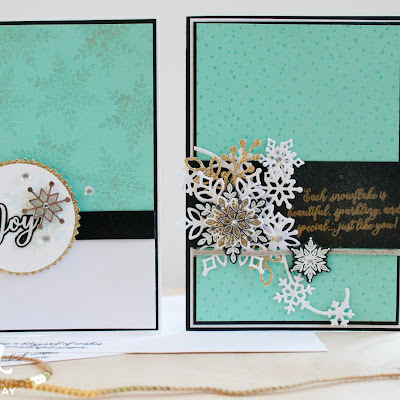 I hope you enjoyed a look at my card. I can't believe we are in November already. It will be Christmas before we know it. Before I go (supplies will be listed at the end), I want to share some exciting things happening in November. As usual I am running my host code. Enter this on any order during November and you will be rewarded at the end of the month! Free goodies just for ordering. 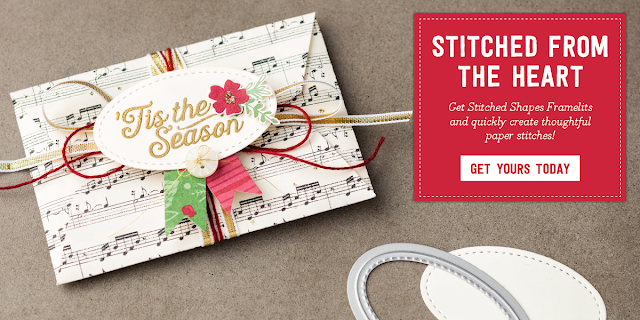 Stampin' Up are giving us the gifts releasing this gorgeous set of stitched framelits EARLY! They weren't suppose to be released until the next annual catalogue. So excited that we are getting them early. You can purchase them in my store here. 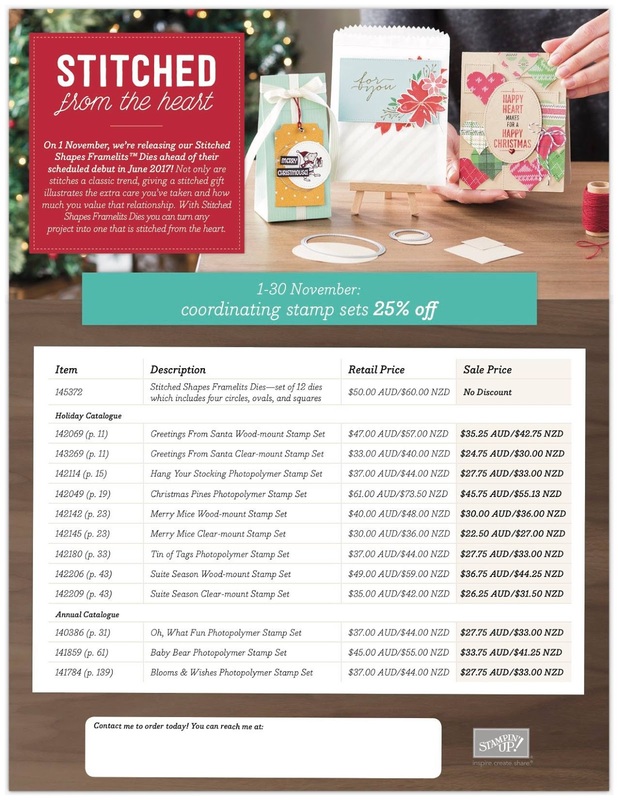 They are $50AUD for the set, but what is more exciting is that to celebrate Stampin' Up have reduced selected Stamp sets by 25%! 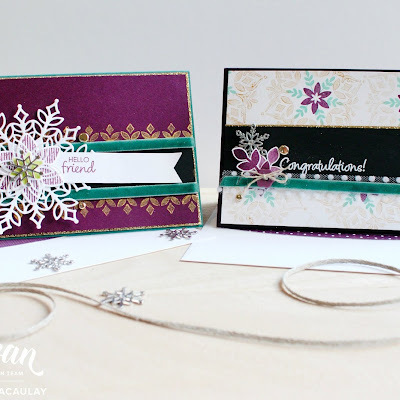 Stampin' With Kayla HOLIDAY BINGO EXTRAVAGANZA! 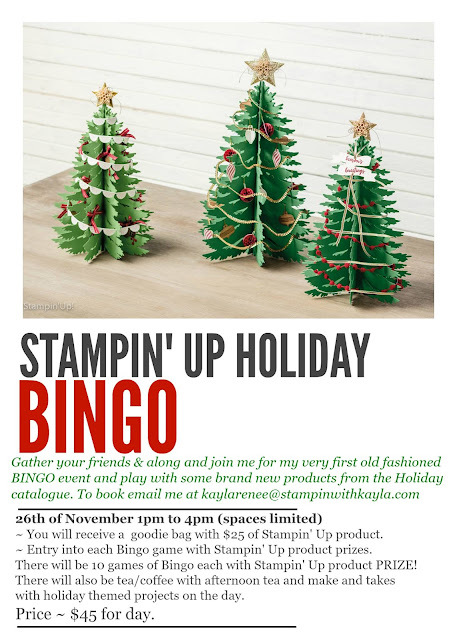 I am going to be hosting an exciting Bingo event at my house on the 26th of November. You can check out the event on Facebook here and RSVP. Be quick because spaces are limited. Make sure you come and like my Facebook page to stay up to date. There is a newsletter tab to sign up to the newsletter also. Look forward to sharing more with you soon....especially since I am attending Onstage Live this week!!!!! Off to Brisbane I go and I get to see a sneak peek of the new products. YAY!